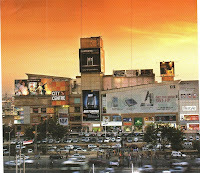 Built by DLF group and displaying great architecture and ambience, DLF City Centre Gurgaon opened in the winter of 2001. It has more than 127 different stores on four different levels of its building. Primary stores include Lifestyle, Maspar, Pizza Hut, Ruby Tuesday and Mehrasons Jewellers. Located on the Mehrauli-Gurgaon Road, this mall also has a DT Cinemas multiplex with three screens that feature both Hindi and English movies, and is one the major attractions in DLF City Centre. The property holds a great reputation and credibility among all the malls in Gurgaon, mainly because it was the first mall to have opened in Gurgaon or the NCR for that matter. Here is the complete List of Stores in DLF City Center, Gurgaon.